Damage is caused primarily in spring and autumn. 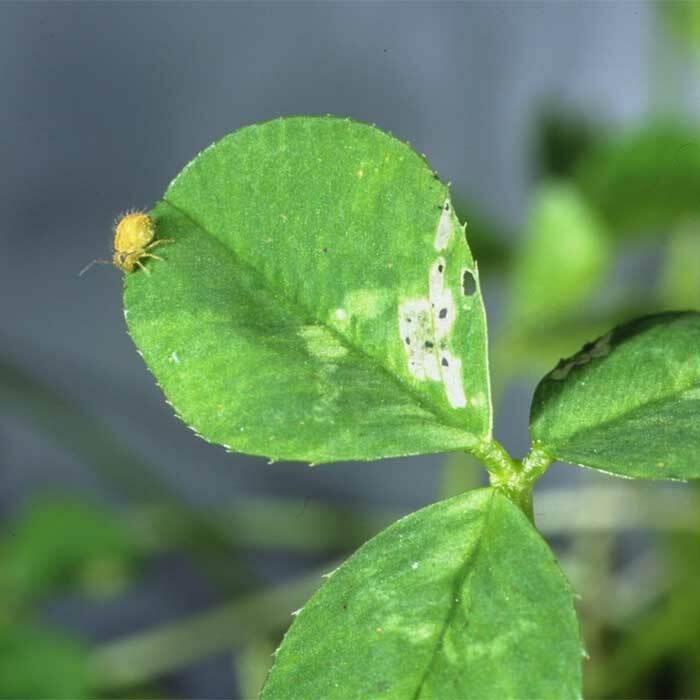 After mating female clover fleas lay their eggs in batches of 2 – 40. These usually hatch after 26 – 42 days depending on temperature. 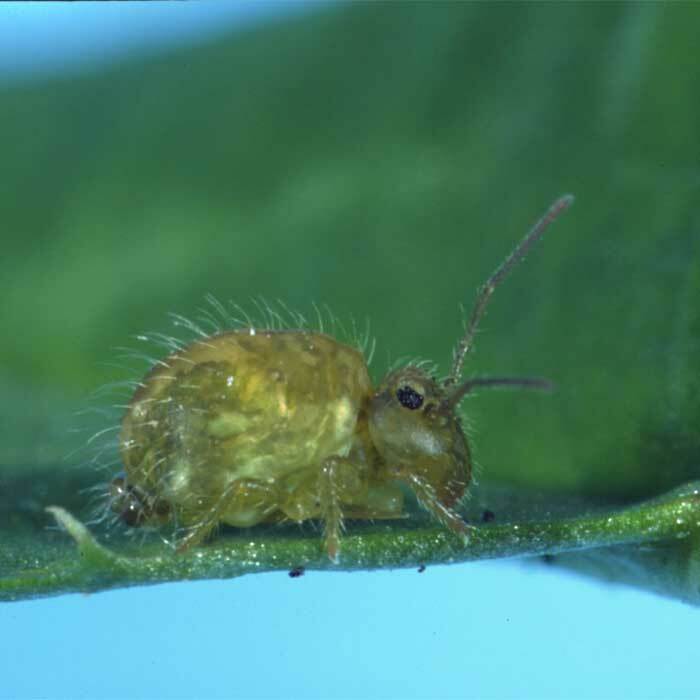 Eggs laid in late spring take longer to hatch and will not do so until they have undergone periods of dry conditions followed by declining soil temperatures and increasing soil temperatures. This avoids the eggs hatching during dry summer months when food may be scarce. After hatching the young clover flea passes through 7 moults increasing in size each time until they reach a maximum size of about 3mm. Females tend to be larger than males but both are yellow green in colour with brown mottling on their backs. The adults live for approximately 15 days during which time males and females mate and egg laying starts again. Compounding direct feeding losses is that stock will avoid eating pasture fouled by clover flea faeces.